The latest white paper from Syrinx is now available, and it tackles one of the hottest topics in the retail space: eCommerce. ECommerce has become a basic component of the retail sector, to the point where virtually every firm can no longer afford to ignore this segment and its potential. Retail eCommerce has experience remarkable growth over the past few years, and this trend is likely to continue accelerating in the coming years. That being the case, retailers across the country - and even the globe - are trying to figure out how to take advantage of eCommerce for themselves. But while embracing eCommerce may sound like a great idea for retailers in theory - and, sure enough, it almost always is - this can be a confusing and intimidating area in practice. A lot of retailers know they want to embrace eCommerce, but they just don't really know how to move forward with such plans. Omni-platform capabilities - Why your eCommerce efforts need to be flexible enough for any device and platform. Payments: Why this matters, and which potential pitfalls to avoid. Loyalty programs: A powerful tool to boost any eCommerce effort. Only by understanding and incorporating these aspects of eCommerce can a retailer hope to thrive in this already competitive space and avoid the missteps that have undermined many other companies' eCommerce roll outs. The white paper also addresses the ways that eCommerce will vary for enterprise-level retailers and small start ups. 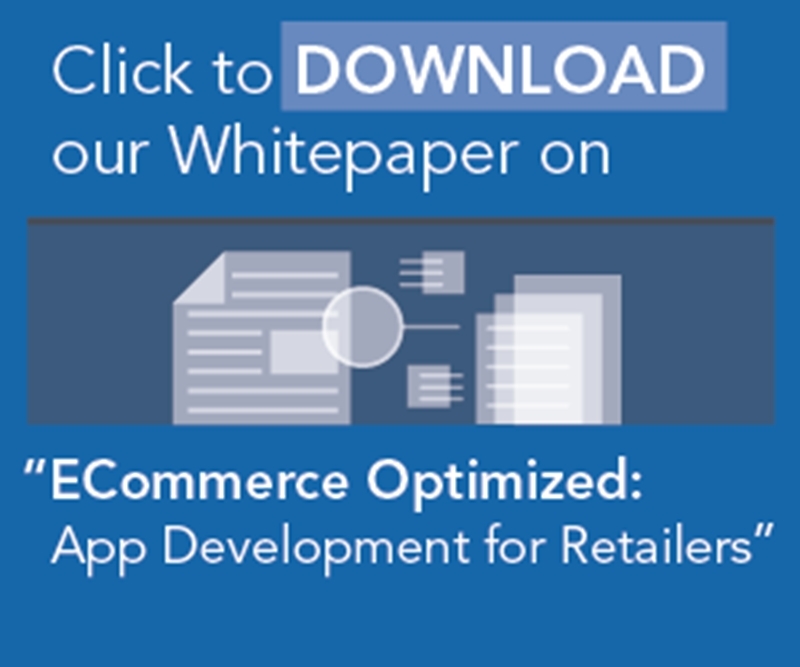 There are serious differences here that retailers need to take into account, whether they are first entering the eCommerce space or considering upgrading their existing eCommerce app development efforts. The white paper offers a primer on this topic, with a focus on the role of flexible delivery and marketing. This white paper is by no means exhaustive. But if you are a decision-maker in the retail space and are looking to start or upgrade your eCommerce efforts, this document should serve as a good primer.